Our destination is the Cook's Lake Research Center east of Stuttgart in Casscoe, Arkansas. 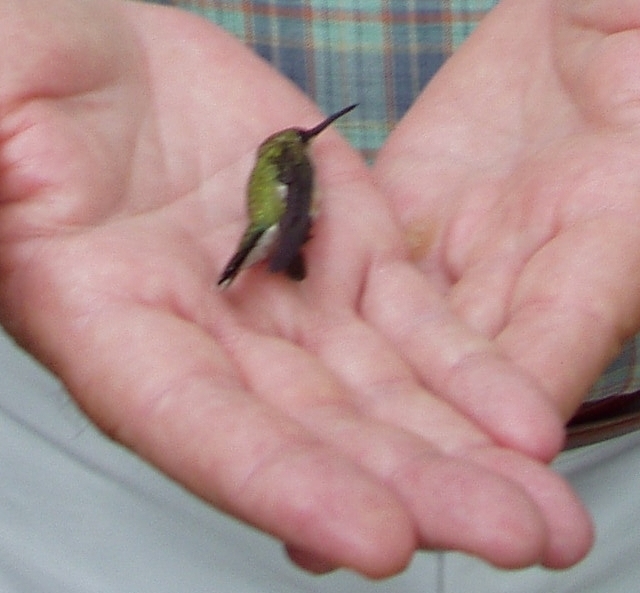 Hummingbird bander Tana Beasley will present a program on S. American birds before netting and banding some Hummers. If you're really lucky you may get to hold one in the palm of your hand. Casscoe is a 110 mile 2 hour trip. We will carpool and leave from the East Gate parking area at 8:30. Please be prepared to help with the gas expense. Be sure to bring your lunch. We should be back between 4 and 5. Sign up at the September meeting or sign up form below.